Tech and telecom companies are pushing into the "rich messaging" arena, which allows upgrades over SMS texting such as video chat, high-resolution photo sharing and location sharing. Why it matters: Companies and platforms are racing to build rich messaging services as people move communication with friends and family from open social platforms to encrypted messaging. iMessage is currently considered one of the most widely-used rich messaging services. Social tech companies, like Facebook, Tencent, etc. own the bulk rich messaging app services around the world. 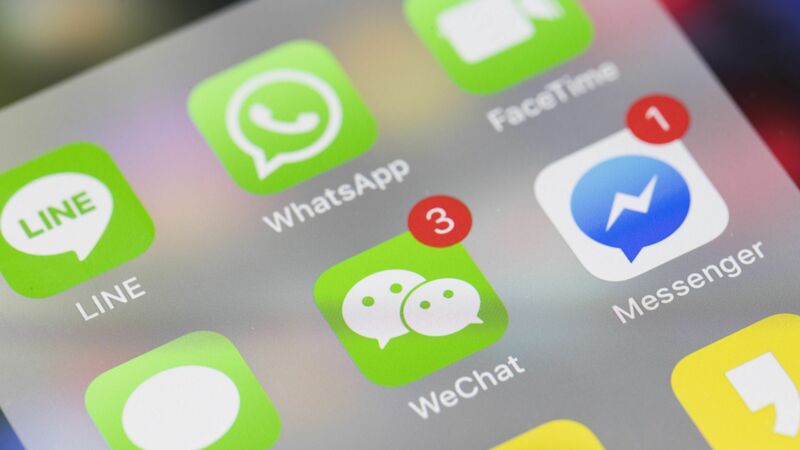 A push to compete with some of these platforms, and iMessage in particular, in rich messaging is coming from a consortium of mobile carriers, operating systems and manufacturers that have banded together to create an experience that works across carriers, devices and operating systems called RCS (Rich Communication Services) Messaging. RCS Messaging takes features from a bunch of messaging platforms, like text, video cha and audio file sharing. It creates a seamless messaging system across devices, operating systems and wireless providers— (like Samsung, LG Electronics, and AT&T) — that could compete with the likes of iMessage, Facebook Messenger, WeChat or Whatsapp. The goal is to use the mass reach of dozens of providers to eventually replace all standard text messaging with "rich" text messaging, that fosters far more engagement and advances mobile technology use. Currently, there are 55 operators involved with the RCS push, with 167 million monthly active users. The big picture: To give you a sense of how fast RCS is growing, the GSMA (Global System for Mobile Communications Association) expects RCS to double in adoption to 350 million global monthly active users by next year, a size roughly comparable to that of Twitter. Go deeper: How today's teens communicate.